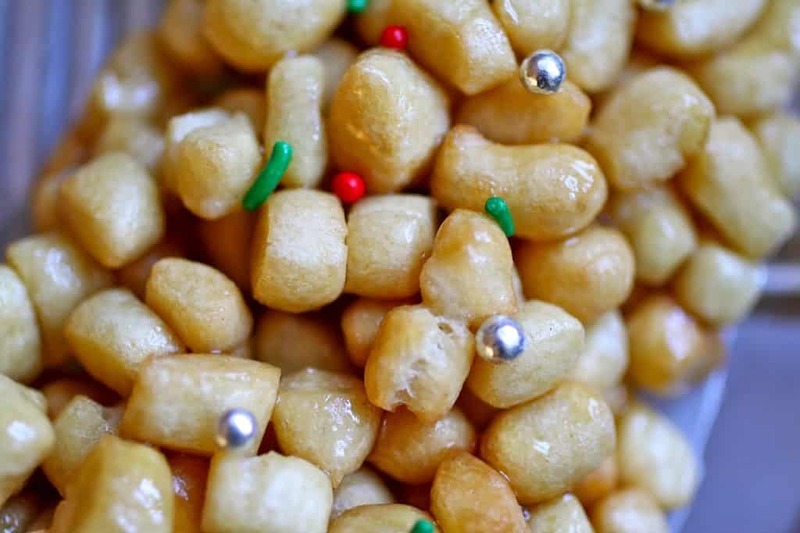 Cicerchiata or struffoli are honey sweetened, traditional Italian Christmas treats. Little balls of pastry are deep fried and coated in honey; very good! You may remember the cioffe I made earlier this year: deep fried bows of lightly sweetened pastry? 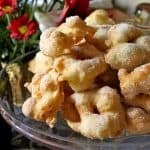 Well, this Christmas treat uses the exact same dough, but instead of rolling out the pastry thinly and shaping into bows, long, thin pieces of dough are rolled out and cut into tiny pieces and deep-fried. 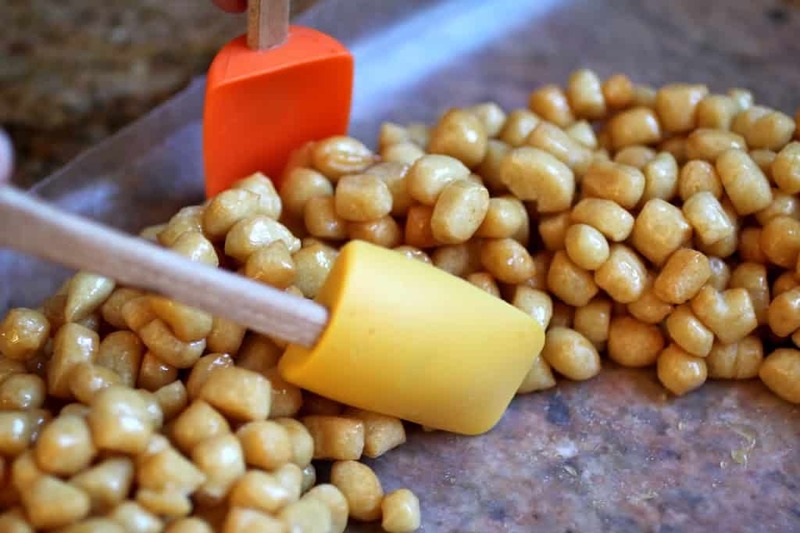 Here’s how to make “cicerchiata” (CHEE-cherr-KEY-ahta). This is more of a guide than a recipe as once the dough is made, amounts are not critical. This will make two large open rings. 2 1/4 cups (12 oz) flour (WEIGH on a scale for best results)! Add one cup (in UK, just use a regular cup-no need to measure) of flour and mix well. Next, add the remaining flour and mix until a slightly sticky dough forms. With hands, shape dough into a ball and refrigerate, covered, for about an hour. Remove from fridge and cut dough in half. Keep one half covered and from the other half, cut a piece of dough and roll out into a long thin rope (about the thickness of a pencil). It doesn’t matter the size of dough you cut off, only that it’s the right thickness. Next, cut them into small pieces as in the photo below. 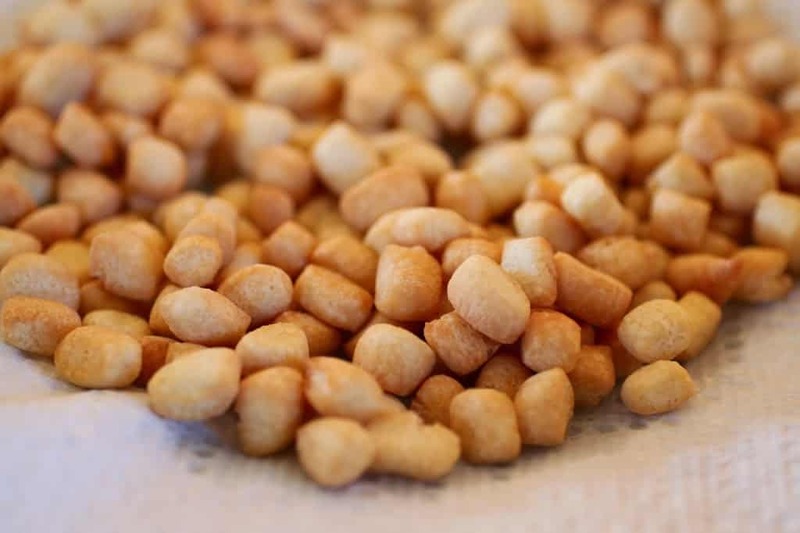 Deep fry these little guys (in small batches), which will puff up into small balls of pastry which look like ceci, or garbanzo beans. When they turn a little brown, remove from the hot oil and place on a paper towel-lined plate. When all of the dough is fried, mix with some warm honey. and shape into a wreath, or place on a plate in a mound. Finally, sprinkle with edible Christmas colored decorations, and/or silver dragees. Allow to cool completely. The cicerchiata ring will become more firm when cool. A traditional Italian fried dough treat, coated in honey. Next, cut them into small pieces. 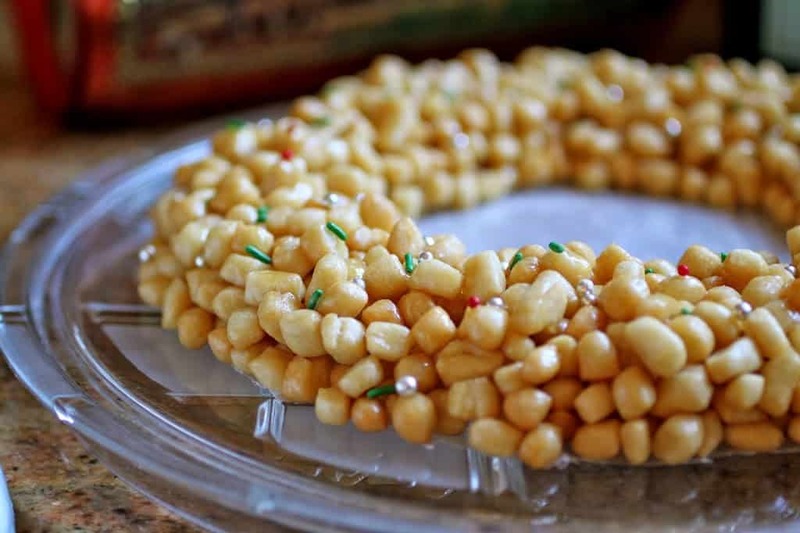 When all of the dough is fried, mix with some warm honey and shape into a wreath, or place on a plate in a mound. Finally, sprinkle with edible Christmas colored decorations, and/or silver dragées. MERRY CHRISTMAS from my cucina to yours! 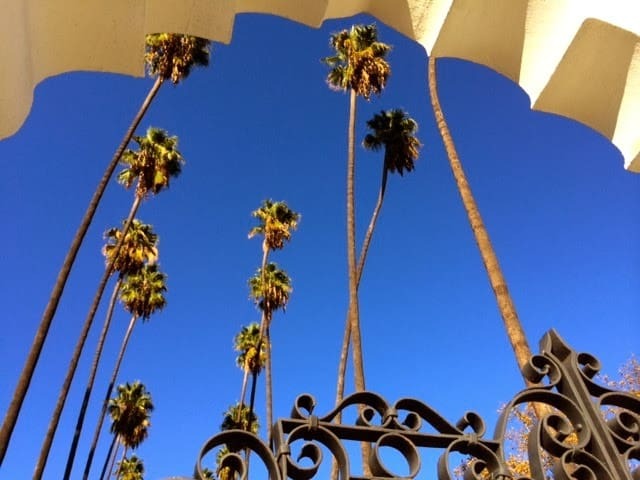 A typical December day in Los Angeles. Joining some of the others who have never heard of this dessert, thanks for enlightening me about it and how it is made. It would be perfect for a large holiday gathering of people and it looks so festive as a wreath or even a Christmas tree. I bet no one can eat just one! I’ve never heard of or seen this, and I want it! At first glance I thought it was a ring of pine nuts. :-) I can imagine how festive and fun this would be to have on the holiday dessert table. Lovely! Children especially love it, Valentina! My goodness, Christina. I’ve not tried this nor seen this before, even if you posted it earlier. 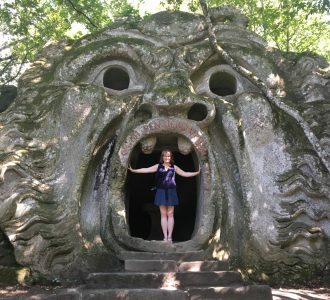 Where was I? 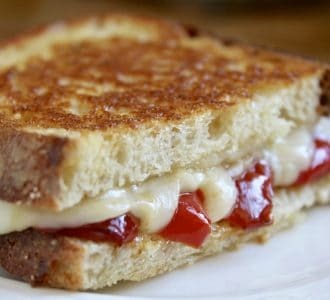 This looks so intriguing and delicious. Thanks so much for sharing the recipe! I’ve got tons of old ones, as I’m sure you have, also! Hope you give it a try! These sound amazing! I really need to try them – perhaps when school is closed for the holiday! Try it! It’s so much fun to eat! Will have to look up cuccidati as I’ve never heard of that! Hello. This is indeed called cicerchiata. 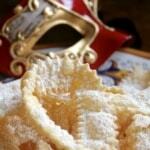 It is traditional in Abruzzo and parts of Umbria. 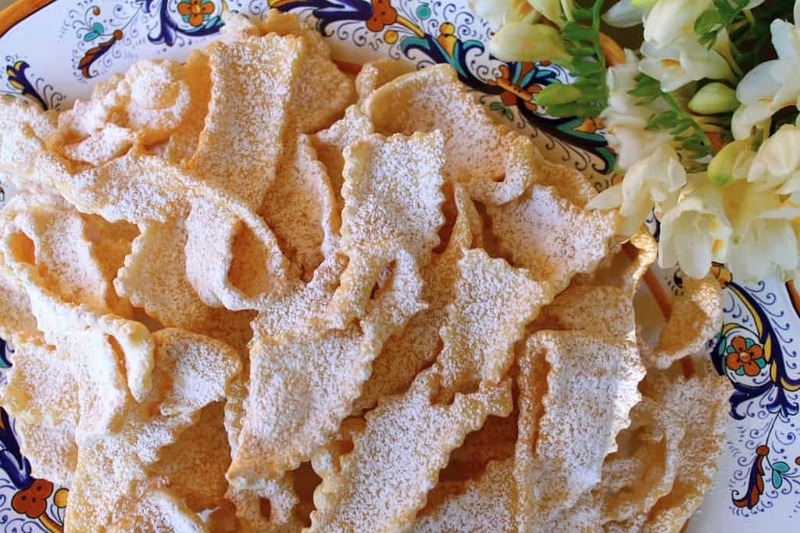 But is not for Christmas, it is a “dolce di carnevale”. Right now my aunt send me some pics (today is feb 13). I had a neighbor from Naples that made something similar, but the dough were rounder and bigger balls. We always made these at Christmastime too. And I am so-o-o happy to see that your family refers to this treat just as my family does. Usually, when call it this, some other Italian-Americans (I guess from different regions) they give me a confused look. 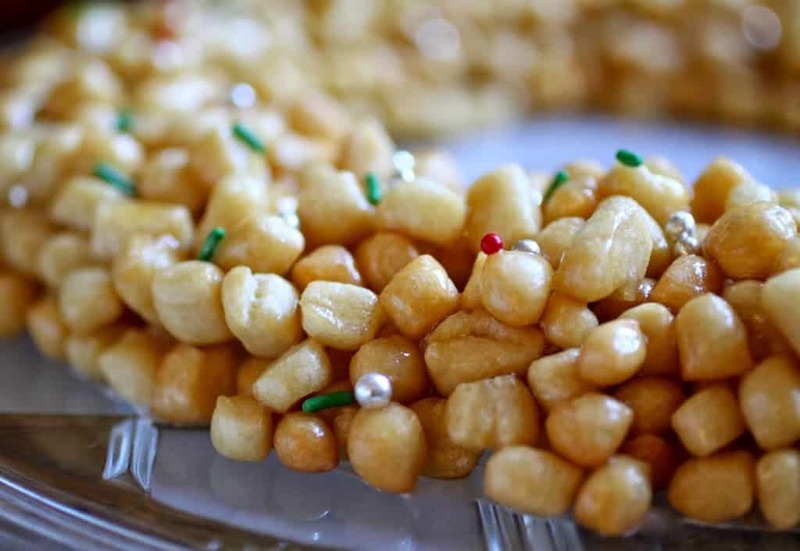 But, since I’m also of Abruzzese extraction, I never say “struffoli”. 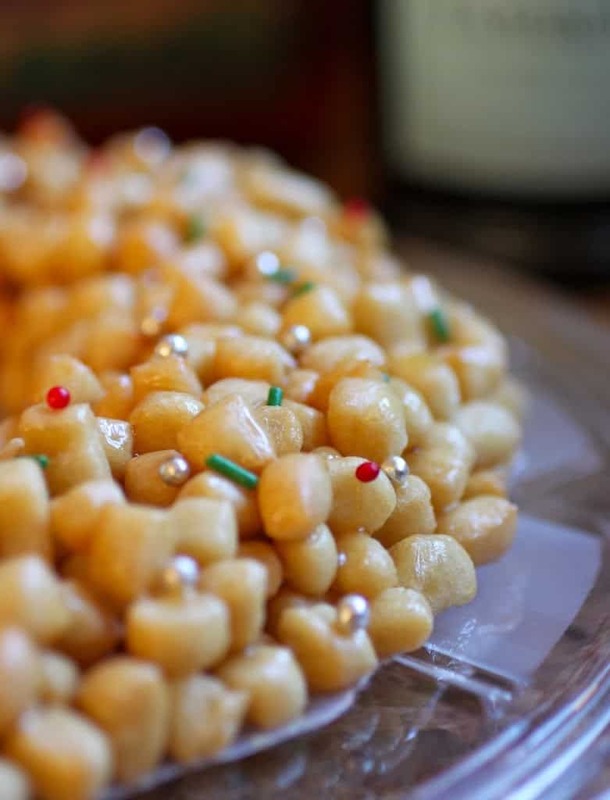 Also, I was always taught that struffoli is more of a sort of puffy pastry ball formed by rolling in your hands before frying. They soak up the honey more and get wetter and softer. On another note, my family always spelled it “cicerichiata” and pronounced it “CHEE-cher-ee-kee-AH-tah”. Now you have me wondering about that extra “i”. P.S.–My grandmother told us that the name is derived from “ceci” which they resemble in size and color. Hi Regina, my mother is here with me now and she thinks that it’s probably just a regional difference in dialect and pronunciation. Yes, the ceci reference is correct! :) So glad you enjoy these, too! Thank your mom for me. Yes, that’s what I’m attributing it to also; there are just so many dialects. Can’t wait to make these for Christmas! Enjoy your holidays. I will, thank you, Regina! You too! Aside from being sweet, these look identical to the fried dough my family makes for soup. My momma called the “niochitti” but I have spelled them “gnichite”. 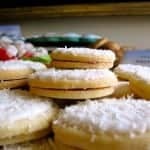 When she used to make them, I fondly remember the flour mixed with a dish of salt and a teaspoon of baking powder being measured out and forming a circle on the big butcher block kitchen table. She would have the eggs in the centre, and would begin to fold it all in and incorporating everything until the ball was formed. Then she would kneed it until it was super smooth. She’d let it rest for a half hour before rolling it out as if she were going to make fettuccine (she would do everything by hand until we bought her a pasta machine). She’d cut the rolled out dough into long strips and then again into little squares. 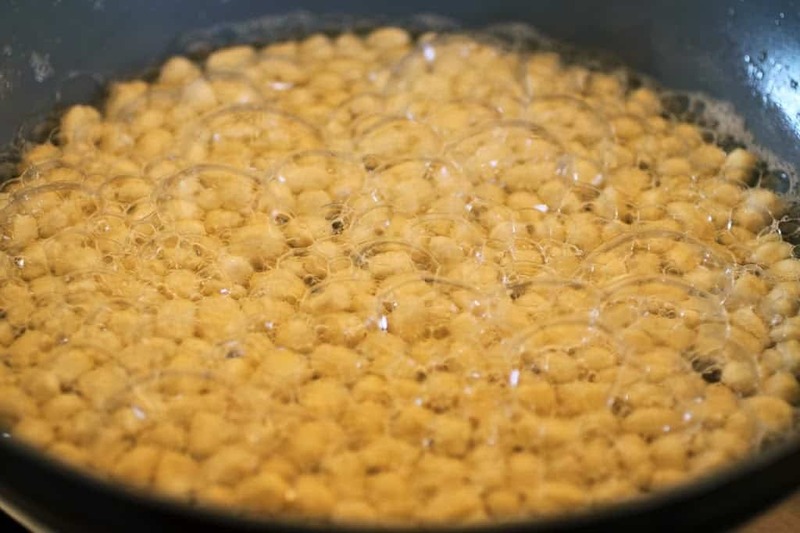 Then she’d deep fry them a handful at a time, letting them dry on paper towel afterwards. They’d go into the freezer and she would ration a handful in our soup bowls at Easter and Christmas before pouring hot, homemade turkey or chicken broth and sprinkling with some fresh grated Romano! Just wondering if you have heard of these? She said that I. 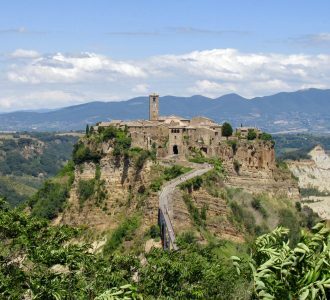 Other parts of Italy they are called “chi-chi”…. Fried dough soaked in warm honey…Can it get any better?? This seems like a typical So. Italian dessert. But my Calabrese nonna never made it, strangely. I will have to try it. My homemade Cannoli turned out perfectly thanks to your great recipe! I know, right? Sorry I missed this!! 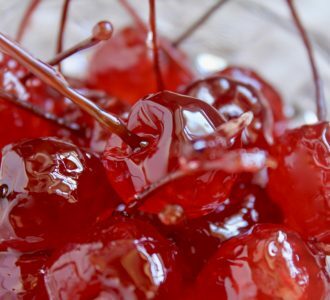 Hi Christina,thanks you for your page just to let you know your the first person to say that the honey glacé will go firm after resting .which comes to my problem .cause when my mother use to make struffoli we call CICERCHIATA. 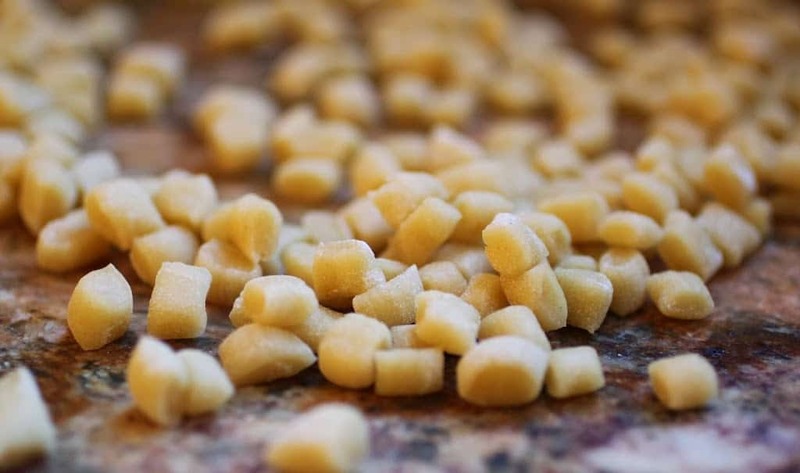 Mum was from Vasto Italy.the honey balls would go real hard and firm .it was hard to slice but it tasted amazing./So what am I doing wrong with the honey glacé that it want firm up go hard after resting over night.PleasePlease help. Hi Mary, yes our family calls them cicerchiate also. The only thing I can think of is that maybe your honey is a “faux” honey, in that it could be mostly corn syrup. There is a huge market for making fake honey and they label it as pure honey so we don’t know. Did you buy it locally or from a source you trust? Where do you live? We used to get a similar dessert at the annual spaghetti dinner held at St. Anthony’s in Bryan, TX, but they were shaped like upside down cones and we called them haystacks. I don’t recall if I ever knew the Sicilian name for them. Whatever they’re called, though, they’re delicious! By the way, are you familiar with cuccidati? My great aunt made them with figs year round, and with apricots at Christmas. I’ve got her recipe for the dough, but never got the recipe for the fig filling. I remember she used an old metal meat grinder (the kind that clamps on the edge of a table or counter, and has a hand crank) for the figs, and I seem to recall orange juice being in there, too. Ah, memories! Cuccidati are one of my favorite holiday treats! You really must try them! I’m sorry, Luci, but I’m a bit confused. You are commenting on the recipe for cicerchiata. I don’t know how to help? It’s not important how much honey you use, Luci, and you don’t cook it, just warm it up. Please buy good quality honey as cheap “honey” is usually flavored corn syrup. That may be why they didn’t stick together. Good luck! Hi Lucille, probably two days maximum in a covered container. My mother used to make these and shaped them into small Christmas trees. Our church made them for the St. Joseph’s table in March. Sounds great! 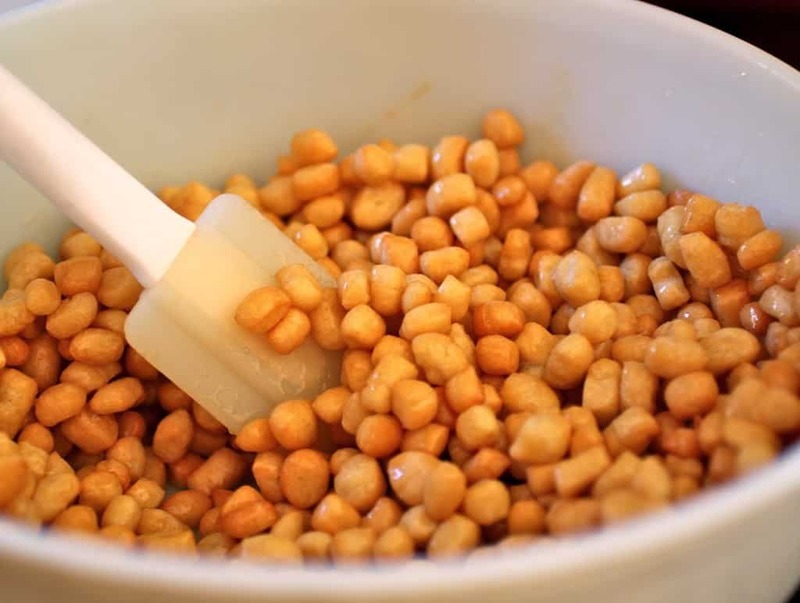 Do you know if this would be the same recipe used for making sfinge? 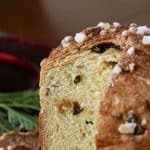 My father used to have sfinge on holidays when he was a child so I’d love to make it for him can’t find a recipe. Thanks! 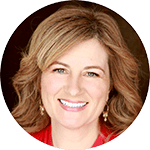 Hi Katie, here’s the thing, in Italy there are so many names for different dishes and they can be the same name, but mean different dishes in different areas. So the problem is that what your father’s sfinge were, could be something different to someone else’s sfinge. Can you get a description from him? Never heard of anything like this but sounds and looks absolytely lovely!! I’ve never heard of this dessert before. Looks so delicious, fun, and festive! I am SO going to make these. I’ve never heard of such a thing, but I know that it’s something that would be huge in our house and it’s gorgeous. Yes! Carry on the tradition, Brandon! 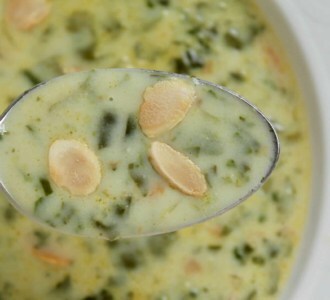 I think it’s really wonderful to make dishes our family made in the past! Enjoy! So neat! 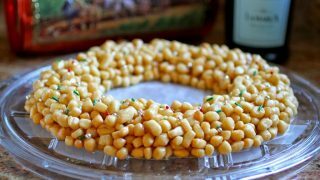 I’ve heard of struffoli but have never tried it – now I’ll definitely have to! I love that this is sweetened with honey. My kids would have a blast helping me make this! Absolutely, Kimberly! This is a perfect Christmas treat for little ones to help make! They will love eating it, too! 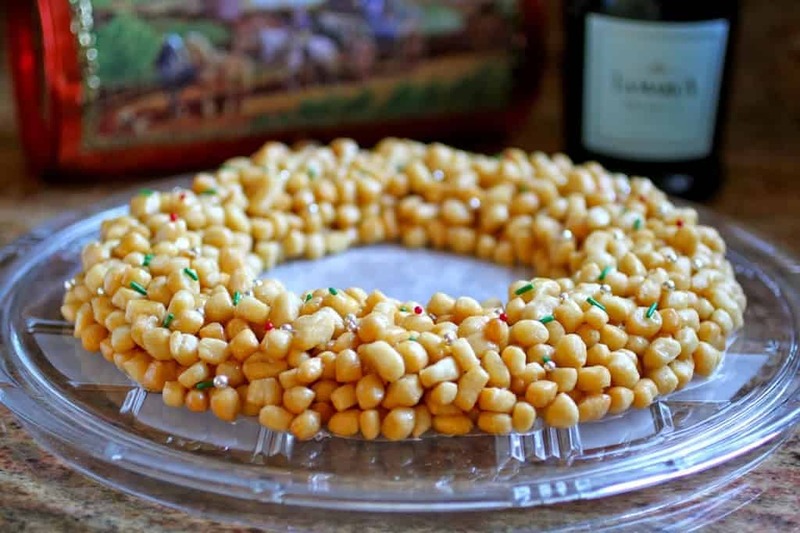 I’ve never heard of Struffoli, but this looks great! So pretty and it sounds delicious! The flavor of the pastry and honey is the best, Annie! 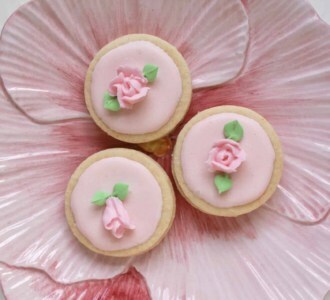 Beautiful, reminds me of my childhood, I remember my Aunt making but she made them bigger or maybe I was smaller. It’s delicious and was always made at Christmas.